An interesting read. Certainly nothing you can't find to read about online these days, but at least it was well written. 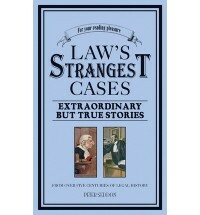 Most of the cases were centered in the UK and it contained quite a few terms that some readers might not be familiar with. Overall it was an entertaining read and would make a great coffee table addition.